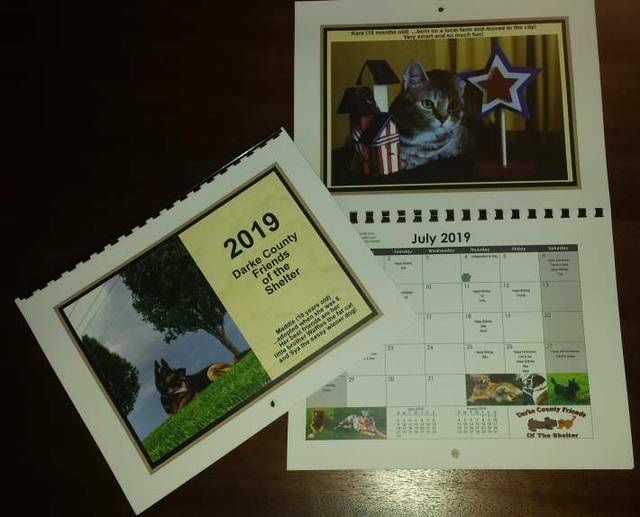 GREENVILLE – Since 2007, the Darke County Friends of the Shelter have assembled a 12-month calendar as a fundraiser for their several projects. The monthly pictures are made up of local pets. The 2019 calendar now is available and has photos of any kind of pets. The calendars are sold at the shelter (5066 County Home Road, Greenville, just beyond the Sheriff’s Office). Individuals also can purchase them from one of the shelter members. The price per calendar is $10. Visit the website of the Friends of the Shelter to learn more about the organization: http://www.darkecountyfriendsoftheshelter.com/. The organization also announced that this years “Pet Pictures with Santa” will be from 10 a.m. until 2 p.m. Nov. 17 in the Walmart garden center.